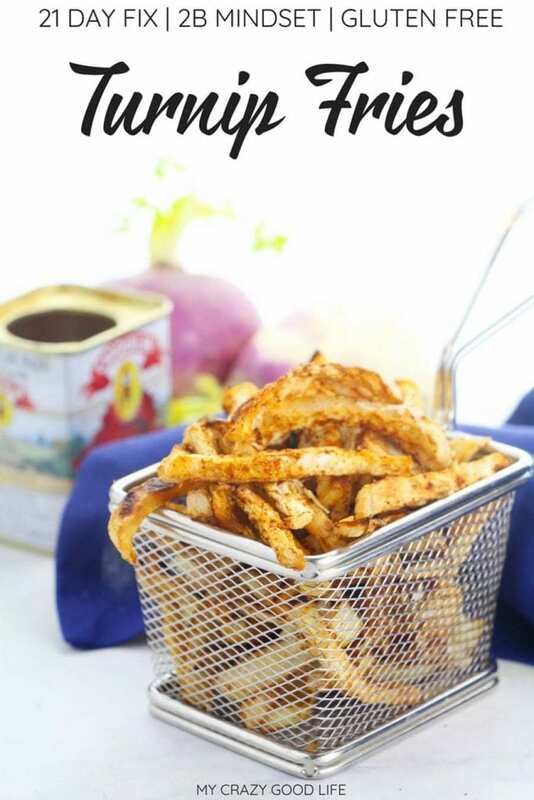 These crispy baked turnip fries are popular right now, and I love being able to eat a healthier french fry! 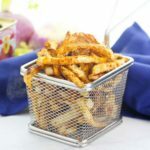 Baked fries are always a better option than deep frying, but potatoes don’t always make the cut for my healthy lifestyle! With these turnip fries I can have the flavors that I love without sacrificing on my goals. If you haven’t tried baked veggie fries like these before, you’re missing out! They’re a great source of vitamins and nutrients, and the flavor is delicious. 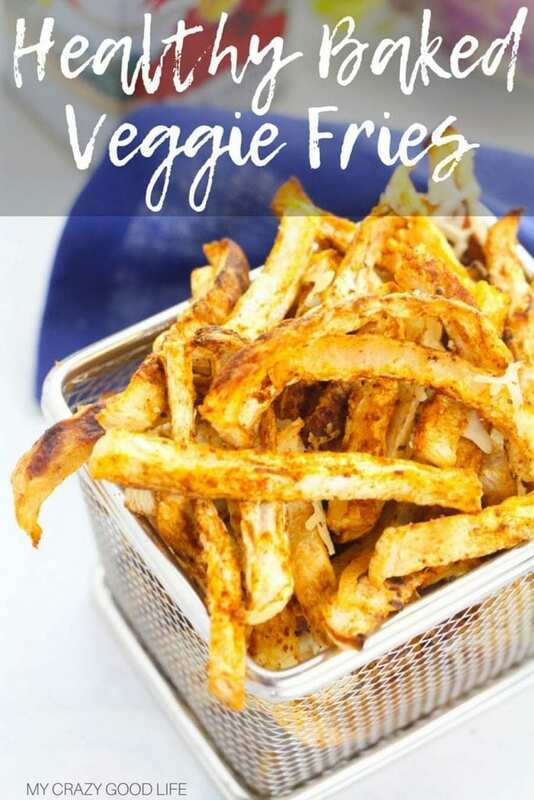 Everyone knows about sweet potato fries and sometimes we’ll try zucchini fries at a restaurant but did you know you can actually make healthy veggie fries out of other things too?! I have a great recipe for carrot fries that you should try! 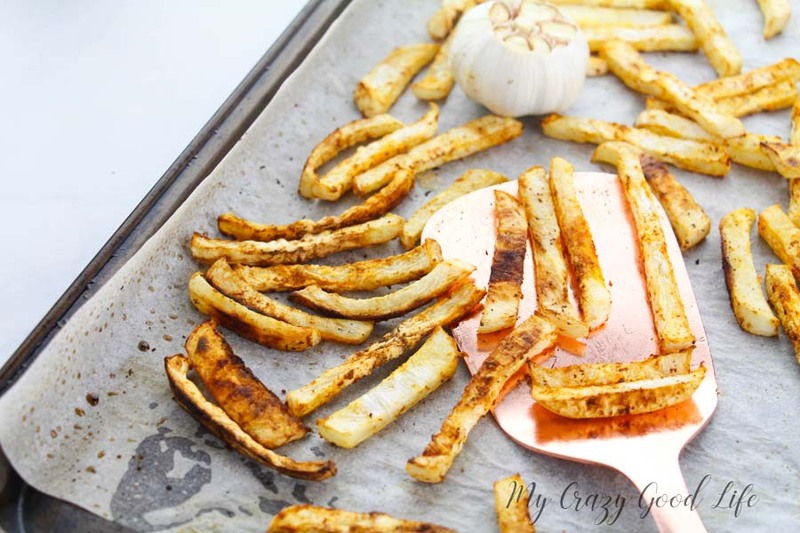 Check them out and let me know how you are enjoying these healthy baked fries. Did you know that turnips are a great source of protein? They are also full of amazing vitamins, minerals, and fatty acids. If you are looking for a vegetable that can do it all, this is the one! These turnips fries are a tasty alternative to the potato variety, but they’re also a healthier french fry! In any healthy diet, like the 21 Day Fix and 2B Mindset, vegetables are a must! In 2B Mindset, you shouldn’t have carbs after lunch so when dinner time rolls around you’ll be looking for some substitutes and alternatives. 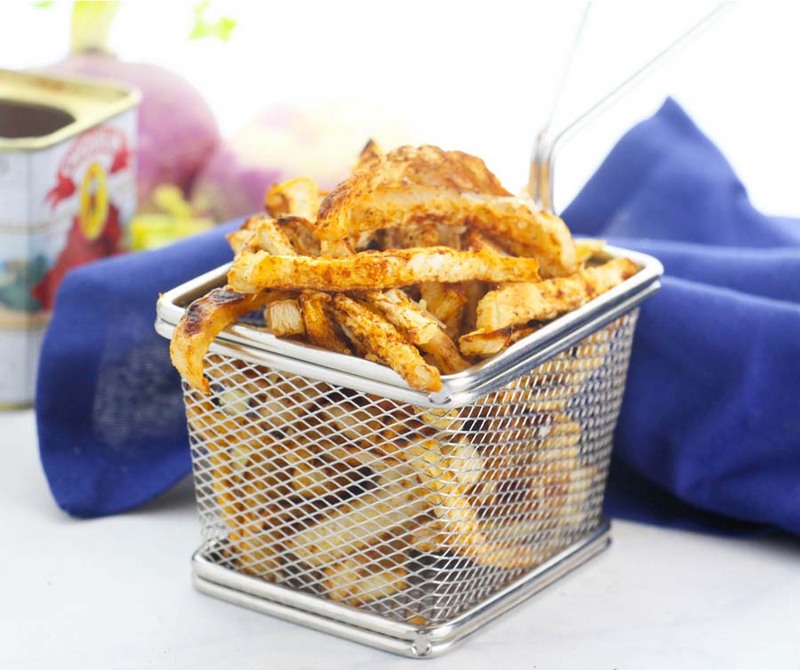 These turnip fries give you the texture and taste that you are looking for but without the starchy potato base! Making these turnip fries could not be easier! These healthy baked fries is quick and simple. Check out how these veggie fries come together in a flash! Fit a cookie sheet with a piece of parchment and oil with 1/2 Tablespoon coconut oil. Slice turnips into fries – preferably less than a 1/2″ thick. Toss the fries in coconut oil and sprinkle with dehydrated garlic and paprika. Toss to coat evenly. Spread the fries evenly on the cookie sheet, with no overlapping fries. Place a head of garlic with the top chopped off on the cookie sheet and bake 20 minutes, flipping the fries halfway through. The garlic is for light flavor. When the fries are almost fully browned, add a sprinkle of parmesan for the last two minutes (if using). What do these baked turnip fries taste like? These healthy veggie fries taste great. They’re a bit peppery by nature but they’re not spicy. 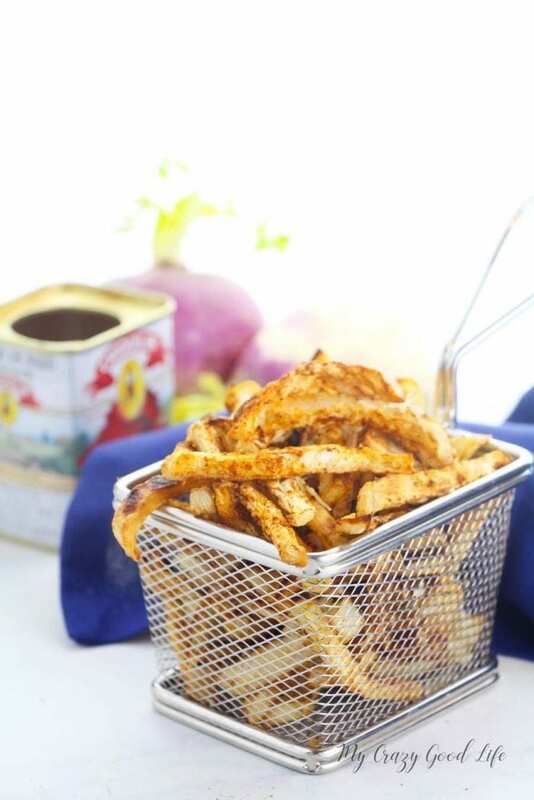 Turnip fries don’t taste exactly like french fries but they have a similar texture and taste to regular baked fries. You can season these turnip fries any way you’d like to make them taste more spicy, or perhaps like ranch or another popular flavoring. That’s the great thing about a neutral flavored vegetable…you can transform it into almost anything! This is an excellent vegetable option. Pair it with your choice of protein for lunch and dinner. 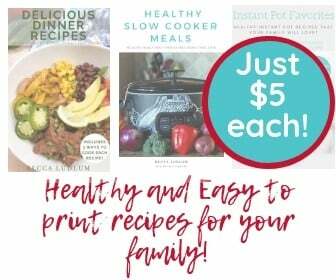 They make a great side dish for all of your summer grilling recipes as well! Slice turnips into fries - preferably thinner than a 1/2" thick. Place a head of garlic with the top chopped off on the cookie sheet and bake 20 minutes, flipping the fries halfway through. Turnips are so underutilized and I just love them. Thanks for this recipe, such a great idea! I’m so glad you love them!! No potatoes would make me so sad, too!! Yay!! I love when I get new veggies from the CSA! These are my kind of veggie fries! Holy cow they’re awesome!